Santa Barbara, CA, May 1, 2018 – The Metropolitan Paseo Nuevo Cinemas, located at the Paseo Nuevo Shops and Restaurants in Santa Barbara, CA, is hosting a 10-week Metro Summer Kids Movie Series designed to create a fun and memorable movie-going experience the whole family can enjoy. Featuring specially-priced $2 movie tickets, the Metro Summer Kids Movie Series kicks off on Tuesday, June 12 and continues through Wednesday, August 15, 2018. Screenings will take place every Tuesday and Wednesday morning at 10:00 a.m.
Family-friendly films, appropriate for kids of all ages, will include Despicable Me, The Lego Batman Movie, The Boss Baby, and Ferdinand, to name a few. Paseo Nuevo Cinemas is located at the Paseo Nuevo Shops and Restaurants, 8 West De La Guerra Place, Santa Barbara, CA. More information is available at the Metropolitan Paseo Nuevo Cinemas box office or online at www.MetroTheatres.com. Metropolitan Theatres, a fourth-generation family owned theatre circuit launched in 1923, provides a premium movie-going experience with a growing number of plush luxury recliner auditoriums and expanded food and beverage offerings. Metropolitan will add two new luxury dine-in complexes to its portfolio in 2019 with the opening of a seven-plex at The Foundry in downtown Loveland, Colorado, and a ten-plex at Outlets at San Clemente. For additional company information, please visit http://www.metrotheatres.com. One of the most anticipated events of the Santa Barbara Fiesta 2018 took place Saturday, April 14, as a total of 20 dancers aged 8 to 20 audition for the coveted titles of Spirit and Junior Spirit of Fiesta 2018. The event begins at 12 noon at La Cumbre Jr. High School. For the first time, the Spirit Auditions included a male participant in each of the two categories – one vying to be named Spirit and another Jr. Spirit. In all, 11 dancers will participant in the Spirit category, and another 9 in the Jr. Spirit category. The Spirit of Fiesta tradition began in 1949. The Junior Spirit was first introduced in 1965. The Spirit and Junior Spirit of Fiesta serve as goodwill ambassadors to local residents and visitors alike, and they perform at multiple private and public Fiesta events throughout the year. Traditionally, the Spirit, dressed in white, leads El Desfile Histórico while the Junior Spirit leads the Fiesta Children’s Parade in like fashion. The Spirit Auditions signify the official change over from the previous year’s Spirits. In 2017, Norma Escárcega and Eve Flores were the Spirit and Junior Spirit of Fiesta respectively. Every spring, the Audition to chose that year’s Spirits is intense as the contestants perform before a lively packed audience. The Spirits Audition is multi-faceted – an interview followed by a dance performance. Each entrant is first interviewed by a judging panel focusing on the participant’s ability to present themself in a confident manner, including poise, ease of speaking in public, stage presence, sincerity and spontaneity. In the dance portion of the contest, a separate panel of judges grades the contestants. Each participant displays their ability to improvise within the promenade portion, and then dances a solo that is judged for Rhythm and Timing, Technique, Interpretation, and appropriate or effective costuming for the selected genre of dance. Several genres of dance can be represented including folklorico, Spanish classical and flamenco. Old Spanish Days Fiesta is one of the country’s largest regional festivals, and has been an important historic and economic element of the Santa Barbara community since 1924. This year, the Fiesta “week” runs from Sunday, July 29, 2018 through Sunday, August 5, 2018. For tickets to Fiesta events, please visit Night Out or contact the OSD office at 805.966.8101. Calling all foodies and photography lovers. Ready to learn how to ‘gram the perfect plate? Select Velas Resorts in Riviera Nayarit and Puerto Vallarta are now offering new cooking classes that help guests learn how to not only make the best food but capture it. Classes are led by Executive Chef Guillaume Morancé at Grand Velas Riviera Nayarit and Mexican TV personality Chef Yolanda Yanar at Casa Velas and Velas Vallarta. At Grand Velas Riviera Nayarit, Chef Morancé first takes guests to La Cruz de Huanacaxtle’s fish market to help them choose the best food for the recipe they are preparing. At the resorts, guests will learn how to prepare their dishes before getting a lesson on tips and tricks to capture the perfect picture. At Casa Velas and Velas Vallarta, guests will also get a brief lesson on Instagram and the best hashtags to use for their pictures to be discovered. For teens who also want to improve their landscape photography, there’s a Teen Instagram Photo Tour at Grand Velas Riviera Nayarit, Velas Vallarta and their sister property Grand Velas Riviera Maya. Teens will learn from the resorts’ community managers about lighting, exposure, angles and editing apps to achieve the perfect photo. Rates start at $183 at Velas Vallarta, $260 at Casa Velas and $367 at Grand Velas Riviera Nayarit. All rates are per person, per night, based on double occupancy. All-inclusive rates at Velas Resorts include luxury accommodations, a la carte gourmet meals at a variety of specialty restaurants, premium branded beverages, 24-hour in-suite service, taxes, gratuity and more. For reservations or more information, call 1-888-407-4869, email reservations@velasresorts.com or visit https://www.velasresorts.com. Offering unparalleled all-inclusive experiences, Velas Resorts in Riviera Maya, Puerto Vallarta, Riviera Nayarit and Los Cabos have earned 48 AAA Diamonds, including the prestigious Five Diamond Award. Other esteemed international awards for their services and facilities include Virtuoso’s “Best Spa,” Forbes’ “Coolest All-Inclusives,” Forbes’ Four Star Award, and TripAdvisor’s Hall of Fame, among others. Properties include the AAA Five Diamond Grand Velas in Los Cabos, with dramatic ocean views and unique spaces infusing every area of the resort; AAA Five Diamond Grand Velas Riviera Nayarit, which enjoys a privileged natural setting with flowering, landscaped gardens beside a long stretch of pristine beach and a dramatic backdrop of the Sierra Madre mountains; and AAA Five Diamond Grand Velas Riviera Maya, located five minutes from Playa del Carmen, offering a sophisticated all-inclusive resort experience in the Caribbean with jungle and beach settings. In Puerto Vallarta, Casa Velas is a boutique adults-only hotel and ocean club located on the Marina Vallarta Golf Course, and Velas Vallarta, a family-friendly all suites resort and spa located on Banderas Bay. Velas Resorts feature spacious accommodations, spas, a unique culinary experience at a selection of restaurants, 24-hour in suite service, fitness centers, personal concierge service, wedding inspections for couples, state of the art conference centers, extensive family programs, fully stocked mini bar and more. Eduardo Vela Ruiz, founder and president of Velas Resorts, operates Velas Resorts with brother Juan Vela, vice president of Velas Resorts, by his side. For reservations or more information, call 1-888-407-4869, email reservations@velasresorts.com or visit https://www.velasresorts.com. Solvang's quaint old-world European fairy tale feel and friendly Danish hospitality offers a relaxing peaceful atmosphere for families away from home.The Solvang Trolley is a wonderful family experience to learn about the historic destination. 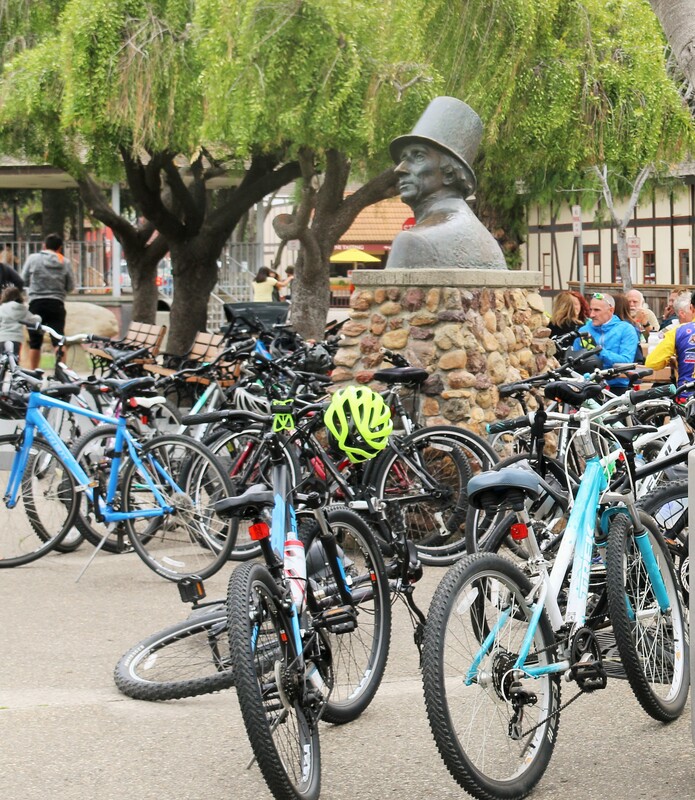 Solvang is a great destination to find things to do for the whole family. Whether your kids enjoy relaxing on a pontoon boat or hand-feeding an ostrich, we've got something for everyone! A photographers paradise, everywhere you turn there are delightful family photo opportunities to create lasting memories. Explore playgrounds, skateboard parks, and tennis courts in the three kid-friendly parks in Solvang. Family bike excursions to local parks is popular. Visit: www.SolvangUSA.com for list of kids activities.